Leading Manufacturer and Exporter from Mumbai, our product range includes Radiant Cooling System such as Ceiling Cooling System, Hydronic Radiant Cooling System, Slab Cooling System and Wall Cooling System. With the comprehensive industry knowledge, we are engaged in offering our clients a superior quality range of Hydronic Radiant Cooling System that cools the entire structure of your premises using our innovative climatic grids. Our cooling systems works on the principle of radiation, a far more efficient way to cool the premise. These cooling systems are examined from our end on numerous parameters so as to deliver a flawless range to customers. 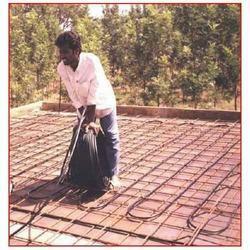 We are a noteworthy manufacturer, trader, importer, wholesaler and supplier of premium quality Slab Cooling System. 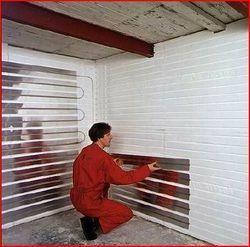 The offered cooling system is method of cooling over other radiant system lies in the fact that your building structure can be used to store a large thermal energy for maintaining the coolness during the extreme conditions. 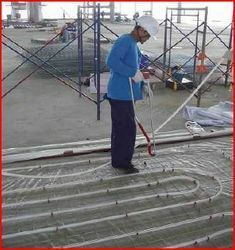 In addition, the cooling system offered by us is available on numerous specifications to choose from. As one of the renowned manufacturer, trader, importer, wholesaler and supplier in this domain, we are engaged in offering Wall Cooling System. Our cooling system is acclaimed in the market for its best cooling. The aluminum conduction plate for faster cooling and the piping network for circulating the cold water is embedded in the plaster of the wall. Clients can avail this cooling system from us at nominal prices in a given time frame. With the comprehensive industry knowledge, we are engaged in offering our clients a superior quality range of Underfloor Cooling that cools the entire structure of your premises using our innovative climatic grids. Our cooling systems works on the principle of radiation, a far more efficient way to cool the premise. These cooling systems are examined from our end on numerous parameters so as to deliver a flawless range to customers. With the comprehensive industry knowledge, we are engaged in offering our clients a superior quality range of Floor Cooling that cools the entire structure of your premises using our innovative climatic grids. Our cooling systems works on the principle of radiation, a far more efficient way to cool the premise. These cooling systems are examined from our end on numerous parameters so as to deliver a flawless range to customers. With the comprehensive industry knowledge, we are engaged in offering our clients a superior quality range of Radiant Cooling that cools the entire structure of your premises using our innovative climatic grids. Our cooling systems works on the principle of radiation, a far more efficient way to cool the premise. These cooling systems are examined from our end on numerous parameters so as to deliver a flawless range to customers. 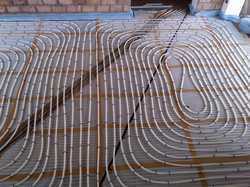 Looking for Radiant Cooling System ?